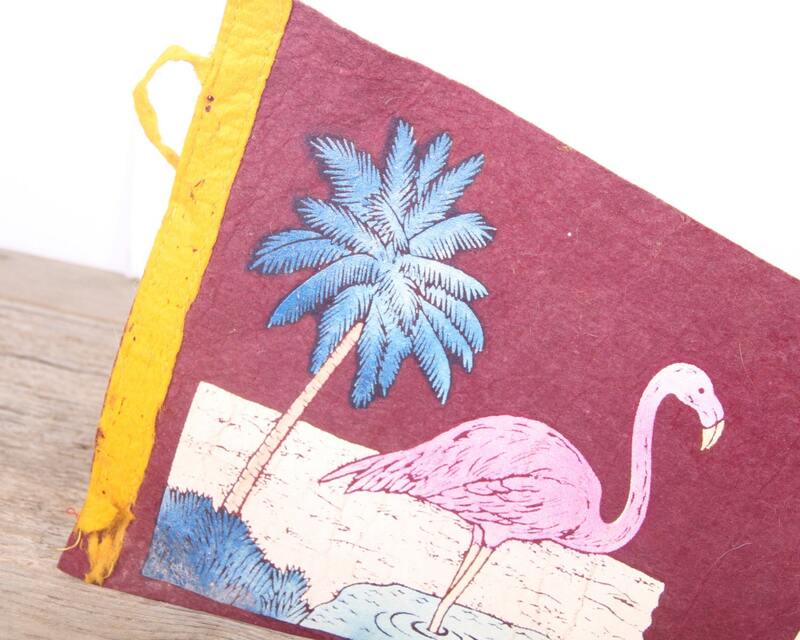 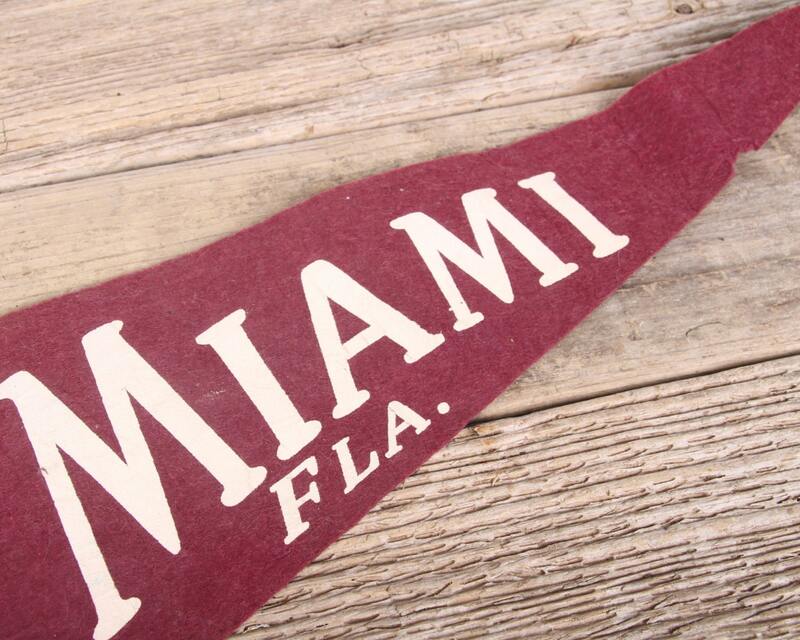 This is a vintage Miami Florida pennant from the 1950's. 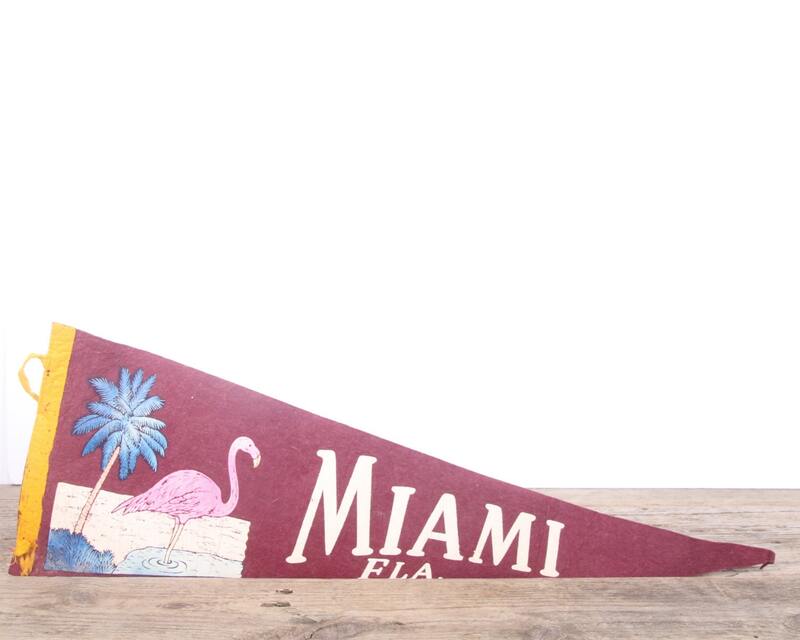 The maroon pennant has a great look and measures roughly 26" long and 8.5" tall. 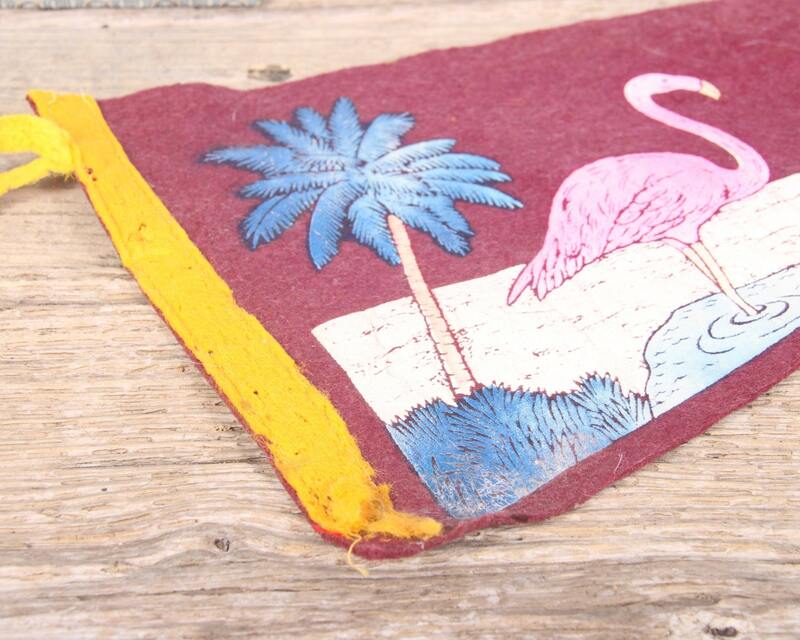 - The pennant is vintage and it has creases, damage, and tears. 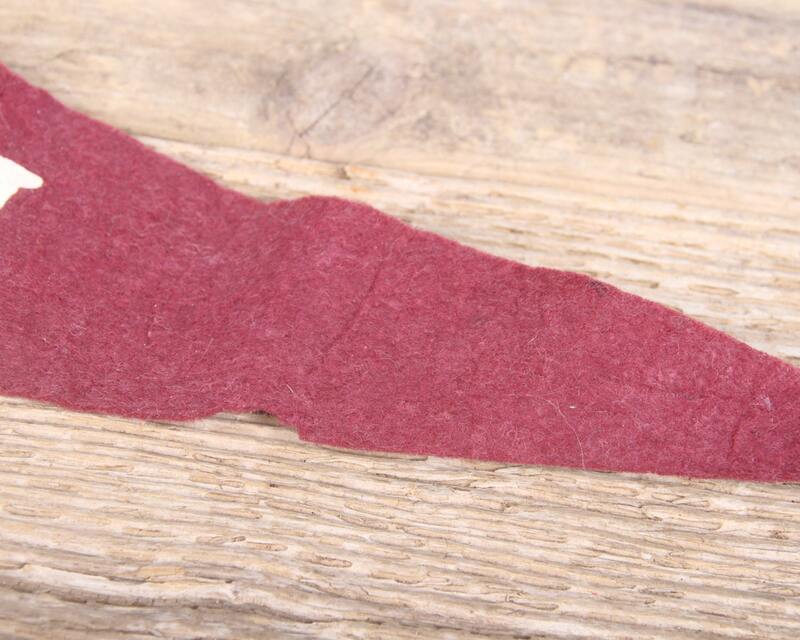 - We try to photograph items to give a full representation, but if you have any questions, don't hesitate to contact us!